This old Irish rebel song was covered by Luke Kelly singing with The Dubliners. 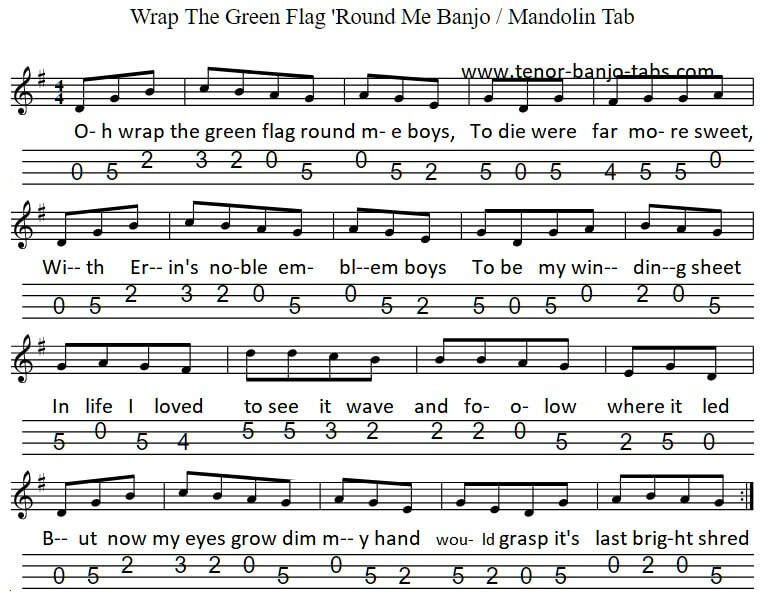 The song mainly featured the beautiful banjo playing of Barney McKenna. This song has been recorded many's a time but seldom do the singers include the whole song. 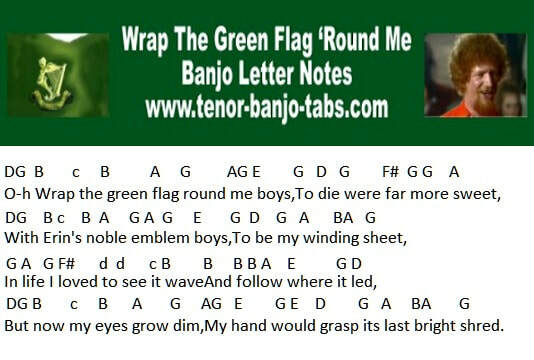 Anyway, the banjo / mandolin tab is in G and the banjo letter notes are included. The verses and the chorus use the same melody.